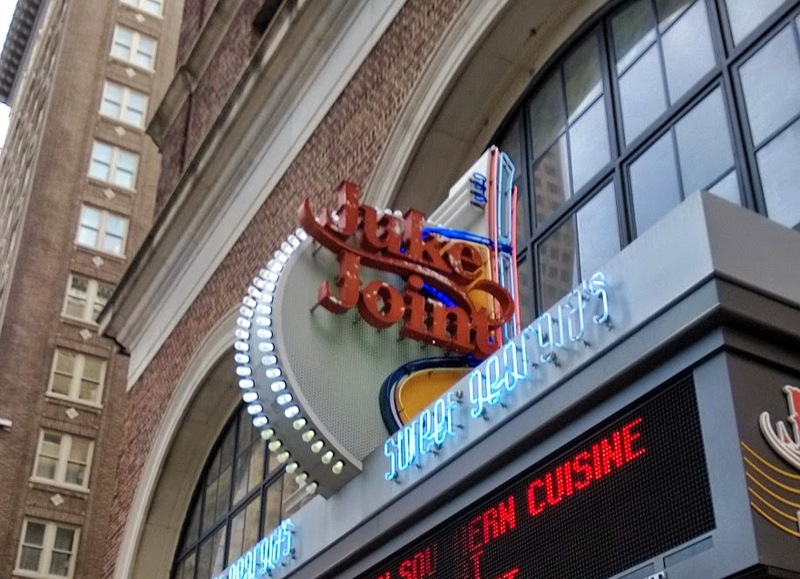 In downtown Atlanta there is a restaurant that pays tribute to Georgia's juke joint past, named appropriately enough the Juke Joint. During segregation times "juke joints" were bars and clubs mainly located in the countryside that allowed black farmers and workers to enter. 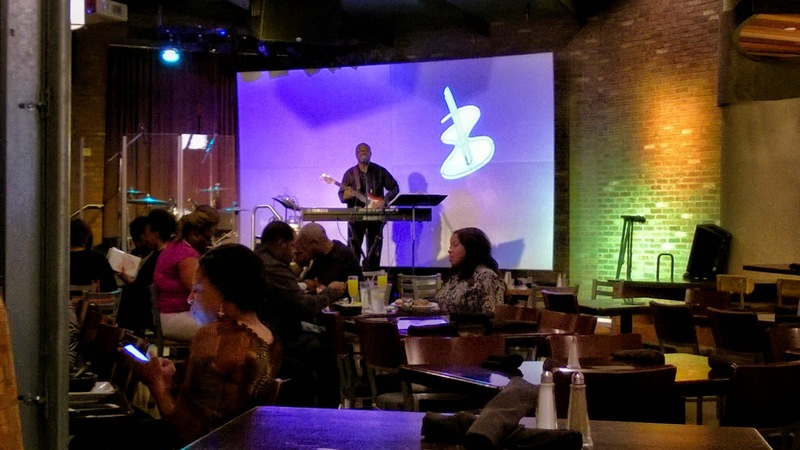 The juke joints were also famous for their live music and the Juke Joint was no different as we had a blue guitarist playing along. So with the combination of great food and live music it's a place that could lead to a long dining experience. 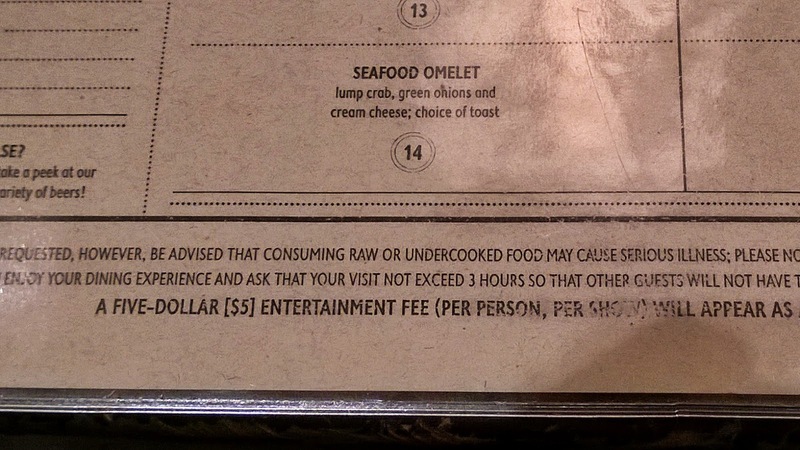 In fact the menu asks you to try to keep your visit under three hours. I don't think I've ever seen that at a restaurant before. 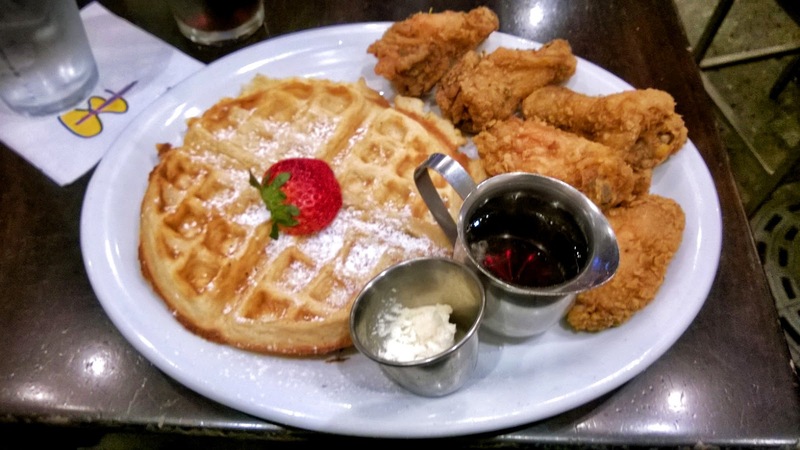 But let's get down to what's important, chicken and waffles! The fried chicken at the Juke Joint regularly wins awards and my pieces were excellent with a little spicy kick. The waffle was crisp and soaked up the syrup nicely and created a great sweat counterpoint to the zesty chicken. Without a doubt the best version of this dish I have ever had!